Old people are often more ready to accept their own approaching death than are those who love them. Persons who have lived fully are not usually afraid to die. Death is, after all, the natural end of life. We often make the mistake of trying to keep a dying person alive as long as possible, no matter what the cost. Sometimes this adds to the suffering and strain for both the person and his family. There are many occasions when the kindest thing to do is not hunt for ‘better medicine’ or a ‘better doctor’ but to be close to and supporting of the person who is dying. Let him know that you are glad for all the time, the joy and sorrow you have shared and that you, too, are able to accept his death. In the last hours, love and acceptance will do far more good than medicines. Old or chronically ill persons would often prefer to be at home, in familiar surroundings with those they love than be in a hospital. At times this may mean that the person will die earlier. But this is not necessarily bad. We must be sensitive to the person’s feelings and needs, and to our own. Sometimes a person who is dying suffers more knowing that the cost of keeping him barely alive causes his family to go into debt or children to hunger. He may ask simply to be allowed to die – and there are times when this may be the wise decision. Yet some people fear death. Even if they suffering, the known world may be hard to leave behind. Every culture has a system of beliefs about death and ideas about forms of life after death. These ideas, beliefs, and traditions may offer some comfort in facing death. 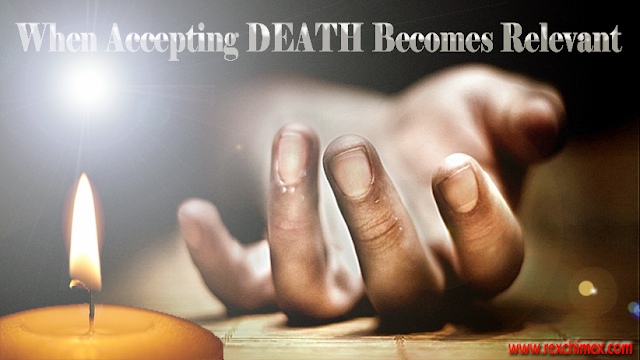 Death may come upon a person suddenly and unexpectedly or may be long – awaited. How to help someone we love to accept and prepare for his approaching death is not an easy matter. Often the most we can do is offer support, kindness, and understanding. The death of a younger person or child is never easy. Both kindness and honesty are important. A child – or – anyone – who is dying often knows it, partly by what his own body tells him and partly by the fear or despair he sees in those who love him. Whether young or old, if a person who is dying asks for the truth, tell him gently, and leave some room for hope. Weep if you must, but let him know that even as you love him, and because you love him, you have the strength to let him leave you. This will give him the strength and courage to accept leaving you. To let him know these things you need not say them. You need to feel and show them. We must all die. Perhaps the most important job of the healer is to help people accept death when it can or should no longer be avoided and to help ease the suffering of those who still live.